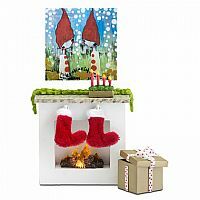 A decorated fireplace with a fire that lights up to create holiday spirit. Lift up the parcel’s lid and put in a nice present of your own. 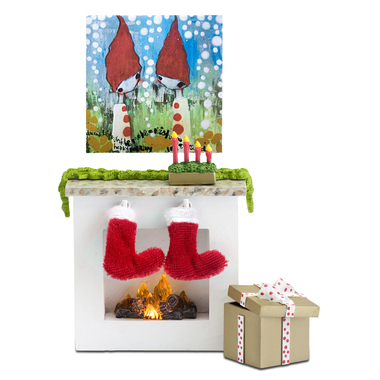 The holiday picture was painted by Lisa Rinnevuo.